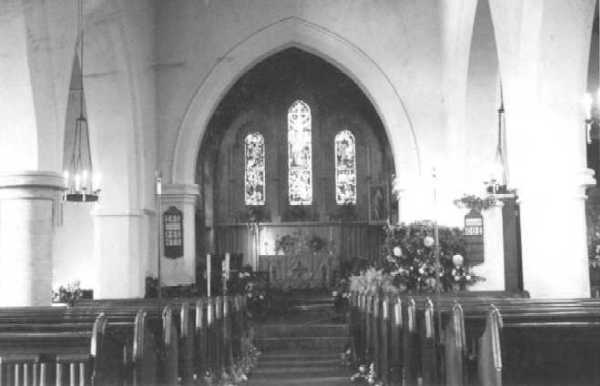 - Village Church Interior - (BS0013) Before post-war rebuild. Date of photo unidentified. 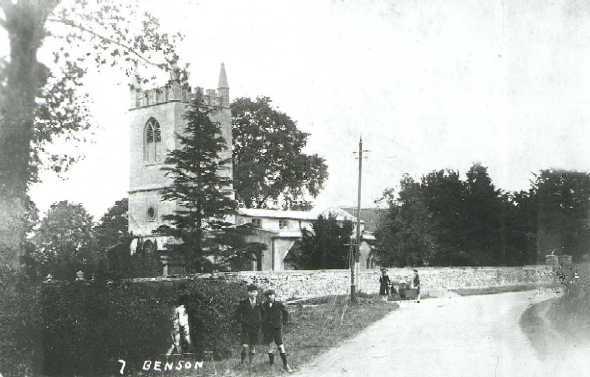 - St Helen's Church - (BS0047) The boys are standing on the start of Benson Lane, that continued through Preston Crowmarsh and past Howbery Park to Wallingford. - Church - (BS0048) See also BS0047 above. 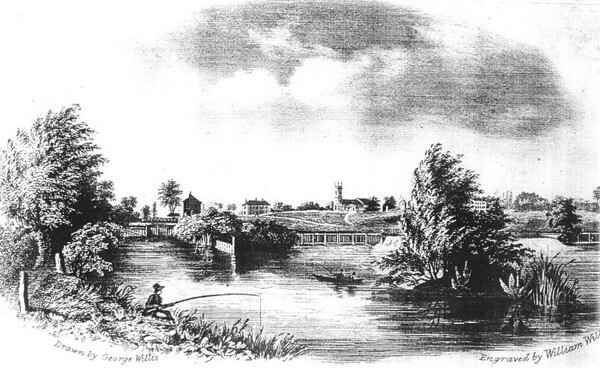 - View of St Helen's Church and the River - (BS0464) 1830s engraving by the brothers George and William Willis. See also their engraving at BS0465. 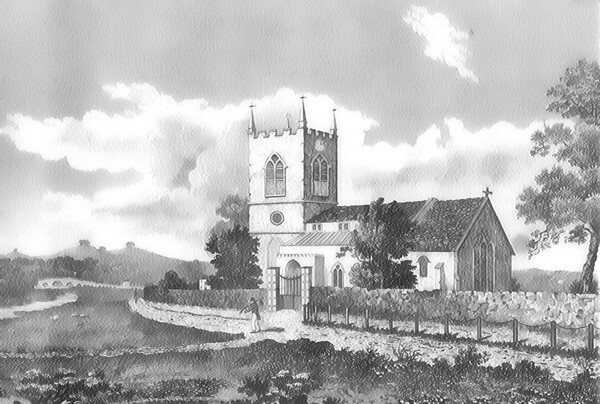 - St Helen's Church - (BS0465) A view of St Helen's Church drawn by William Willis in 1830. 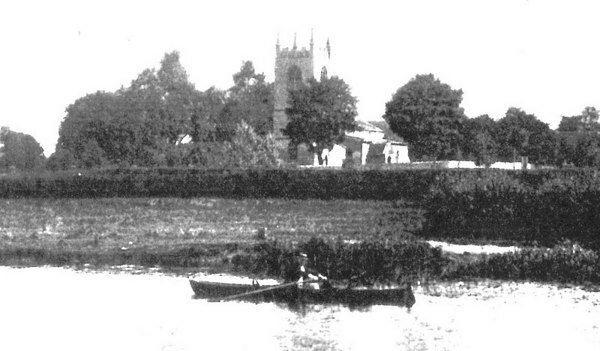 Note the absence of anything other than a track between the Thames and the Church. The path in the foreground led to Preston Crowmarsh and Wallingford. 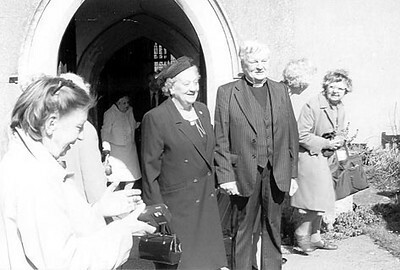 - Revd George Palmer’s and Nora’s Golden Wedding – Apr 89 - (BS0556) Inez Taylor on left, but who is on the right?. 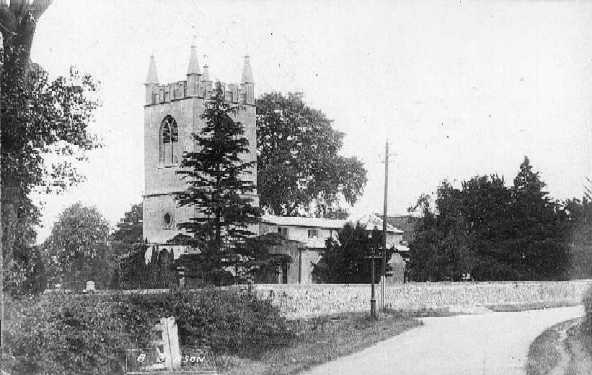 - St Helen's Church vicars- (BS1331) c. 1963 when the Revd Palmer handed the Parish over to the Revd Carpenter. 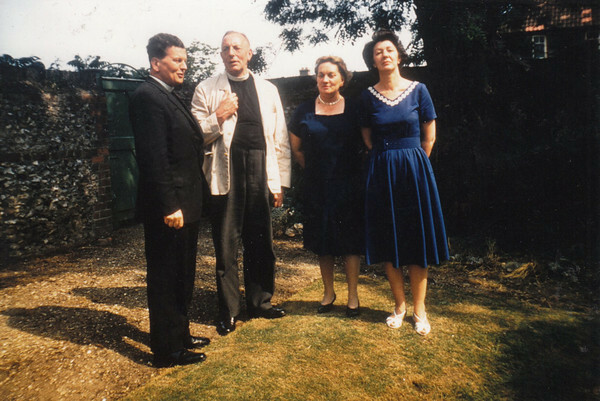 George Palmer on the left of the picture with Nora Palmer in the centre. 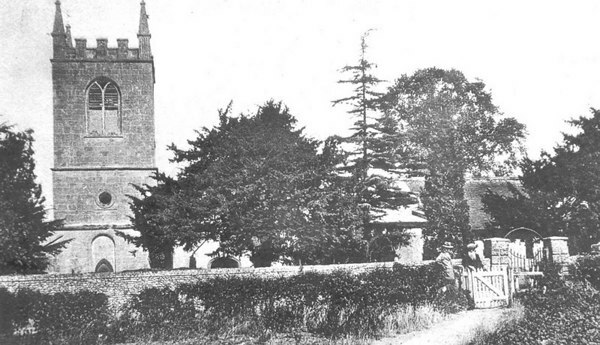 See Page 92 of 'Benson - A Century of Change' for more information. 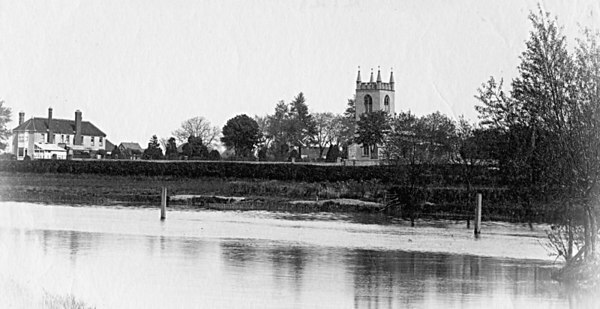 - St Helen's Church from River - (BS0300) Very early photo - possibly by Henry W Taunt in the late 19th century. - St Helen's Church - (BS0387) Taken from new cemetary - shows wicket gate and where path led down to Preston Crowmarsh.